The 3rd Mexico’s Cup Regatta hosted in the Riviera Nayarit came to an end with the conclusion of the 420, Laser, Optimist and Kite Surf categories, with record breaking participation in several competitions. 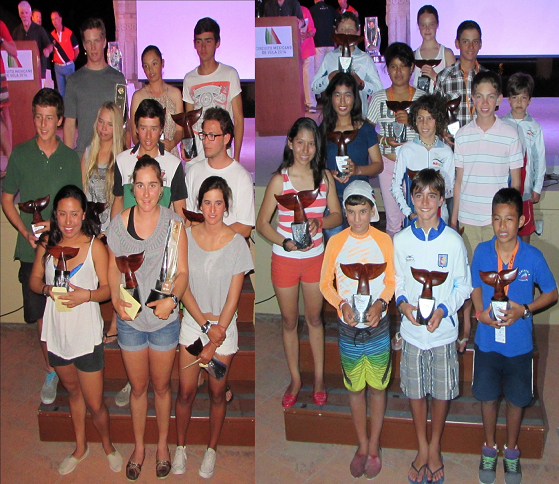 The Riviera Nayarit’s 2014 Mexico Cup Regatta concluded with the participation of the WesMex Regatta in Nuevo Vallarta, which included the 420, Laser and Optimist categories. The Kitesurf competition—held in Bucerías—also ended. The numbers this most important regatta of the Mexican Pacific posted were very positive: out of seven categories, six had a higher number of participants and, as always, the quality of the competition was of the highest caliber. The Kitesurf finals were held in Bucerías on Saturday, March 28th, with the winner being Riccardo Leccese, of Italian and Colombian descent. Raquel Arroyo took the award in the women’s category. The results from Sunday’s competition were also completed. First place in the Laser category went to Canada’s Hugh Macrae; Elena Octling from Mexico took first place in the women’s category. The 420 category was unique in that it only had Mexican competitors; it was won by the female contingent, with champions Camila and Casilda Flores. Mexico’s Andrés Domenech Peralta dominated in the Optimist category, with Keyla Darani Hernández Oviedo winning in the women’s league. Alejandro Saavedra won in the same category for beginners—one that also had exclusively Mexican participants. Amtmann also mentioned that the Mexico Cup has reached a level where the associations can use it as a springboard or as a classifying competition for international events. This year saw a marked increase in participation: a record-breaking 67 competitors in the Laser category, including several world and Olympic level champions, as well as an unprecedented 107 vessels in the Optimist category (it doubled in size). The 420 saw a break in the dominance of the domestic Department of the Navy with the participation of private citizens, with a total of 36. The Riviera Nayarit truly scored a “10” by offering the right infrastructure and the variety of tracks needed for the different competitions, qualities that attract the world’s top players in maritime sports.